4.) Then the company changes its iPhone policy and makes it mandatory to have at least a $25 voice plan and $25 data plan to receive promotional device pricing. Survey says: Bad. 5.) Fido then makes 6PM early evenings a standard feature across all plans that have evenings and weekends. Survey says: Really Good. So with that, it seems Fido is improving again. However as per number 6, Fido has launched a new $35 unlimited incoming plan to directly combat the recent $35 unlimited incoming plan from Virgin Mobile. 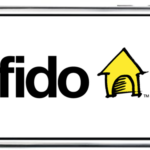 This new plan from Fido available on a 3-year contract for an iPhone. With the plan and a minimum $25 data plan on a 3-year contract, customers receive promotional pricing on an iPhone device ($159/$269). Evenings/Weekends: Unlimited @ 6PM <– Now Standard! Overall, this is not a bad offer, especially the 6PM evenings and free Caller Display. For comparison, the plan from Virgin Mobile is exactly the same, except I don’t believe Virgin has unlimited International text as part of their $35 package. BREAKING: Fido Launches 6PM Early Evenings As A Standard Plan Feature!